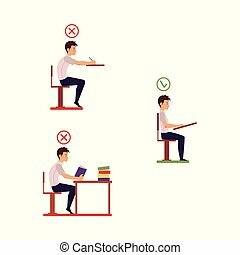 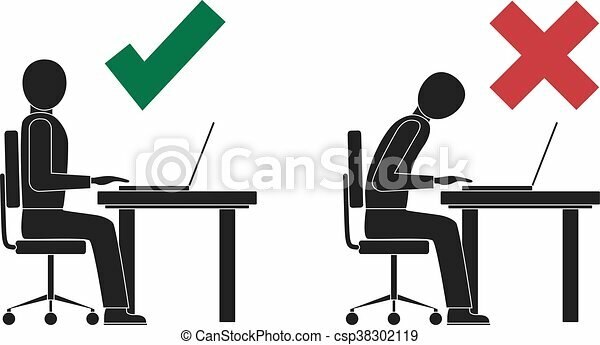 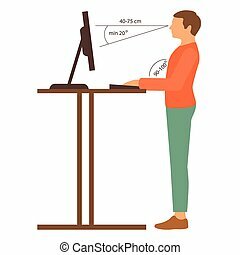 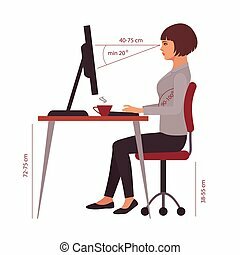 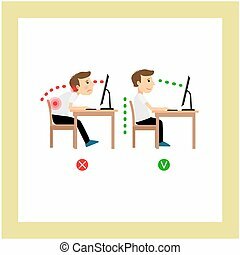 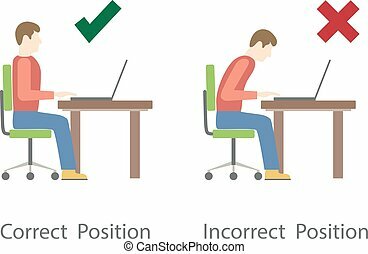 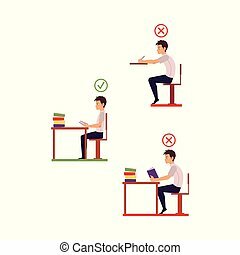 Correct and incorrect sitting posture at computer. 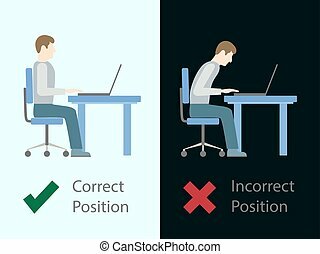 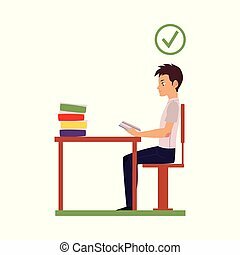 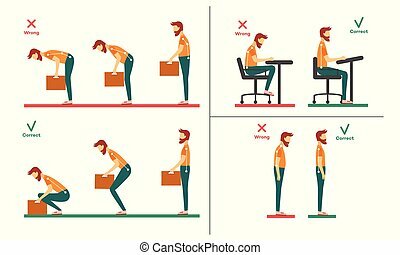 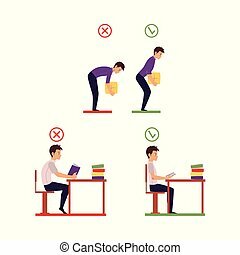 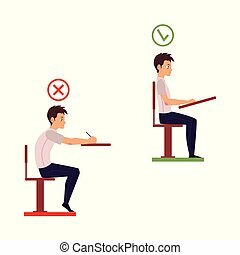 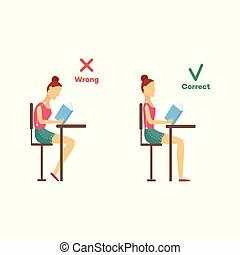 Correct and incorrect sitting posture at computer, flat design, vector illustration. 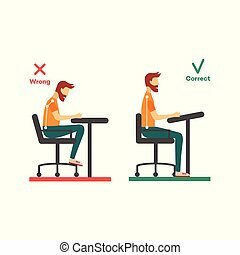 Correct And Incorrect Sitting Posture At Computer. 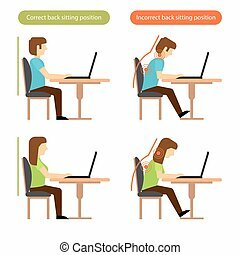 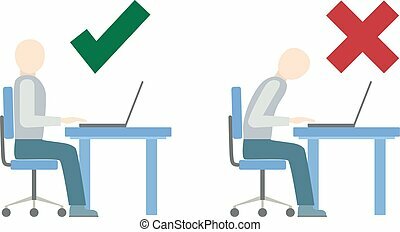 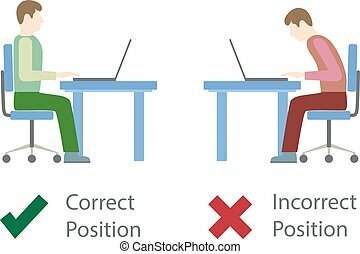 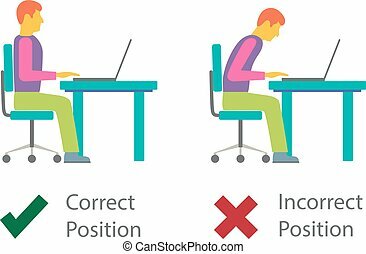 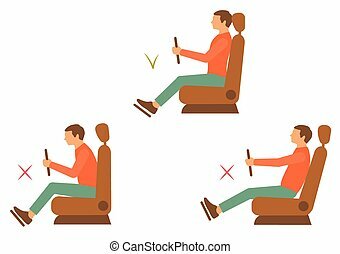 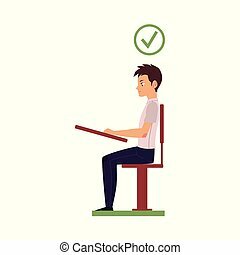 Correct and incorrect back sitting position at the workplace.